This is the first video in a series of videos about kumihimo braiding with pearls. The big problem with freshwater pearls is the small size of the drill hole, which often makes it difficult to pass cord through. 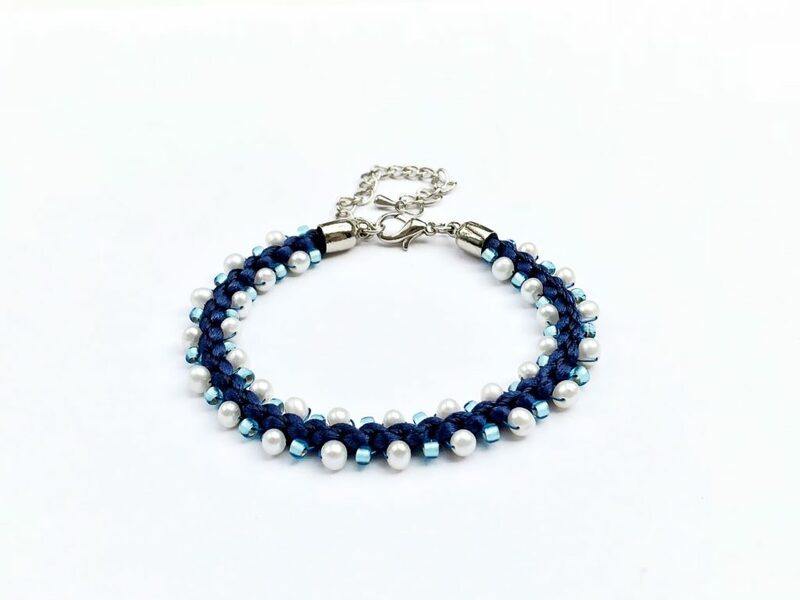 My love of both pearls and kumihimo has led me to find different ways of using pearls in kumihimo. In this video I use the Prumihimo Disk with satin cord, S-Lon and flexible beading wire, such as Tigertail or Soft Flex and I show how to braid the pearls, interspersed with seed beads. These beads are alternated on the wire and you can either start with a seed bead, as I did, or a pearl. It is important to watch the video to see how I tighten the pearls on the wire after they are added into the braid.